French disco duo Justice have already revealed that their third studio album Woman is due on November 18th via Ed Banger Records. They also released two singles ahead of time as free downloads, including “Randy” and “Safe and Sound.” Now they’re premiering a live visual installation for the official music video of the former. Directed by visual artist Thomas Jumin, the video captures a light show and other visuals playing on 25 television monitors. It was filmed live in Paris on September 17, 2016. The televisions SONY CRT Trinitrons from the year 1986 give the scene it’s nostalgia. The CRT Trinitron is arguably one of SONY’s most popular products, and made them the number one producer of color TV’s in the 80’s and 90’s. They stopped manufacturing them in 2006. 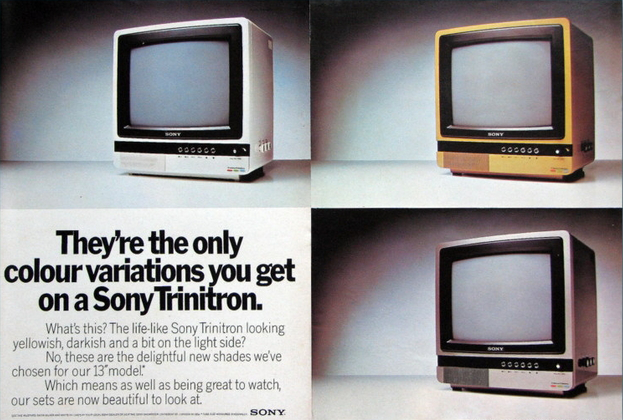 Akio Morita, co-founder of SONY, often said, “The Trinitron is the most important asset after the SONY brand name,” before he died in 1999. Pre-order Woman by Justice on iTunes for $10.99. Download the music for your DJ sets from BPMSupreme.com!